I'm starting with a touristy shot with this airport photo. 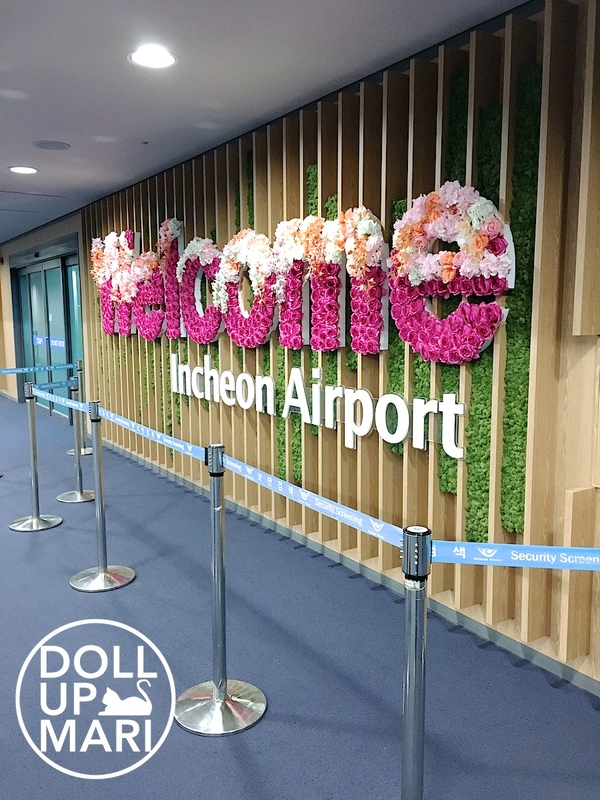 For this Beautiful Journey, we got to stay in Seoul Dragon City, which at the time was just at soft opening. It was definitely special to have been among the first peeps to try out the hotels and amenities! The Philippine delegation was assigned first to Grand Mercure Hotel. 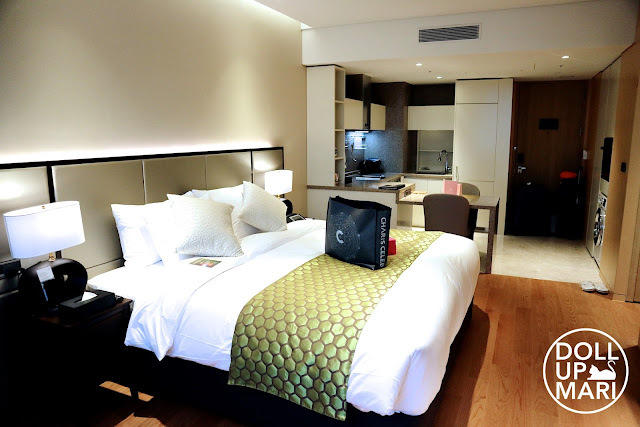 Grand Mercure Hotel is a lush, swanky serviced apartments establishment. The plush lobby is already a clue to how luxurious the rooms are. 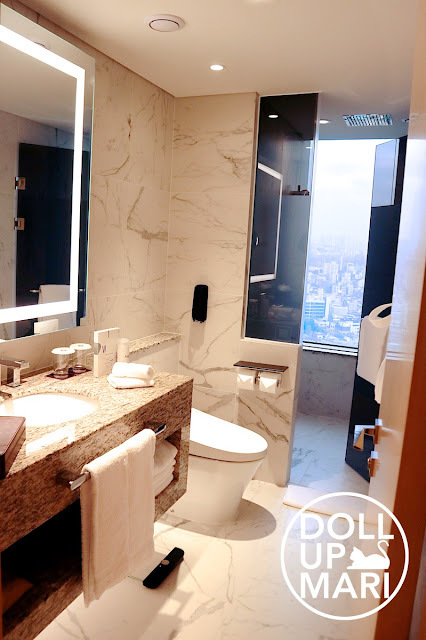 Indeed, the rooms are spacious and beautifully designed. The bed is reaaally comfy!!! I really wanna come back to this hotel in the future as everything about the room makes it so conducive for sleeping. The interiors, the bed, the pillows, the lighting––I have severe insomnia but was able to sleep soundly! The room may not be so spacious as what one would think for serviced apartments, but the space is used very wisely. 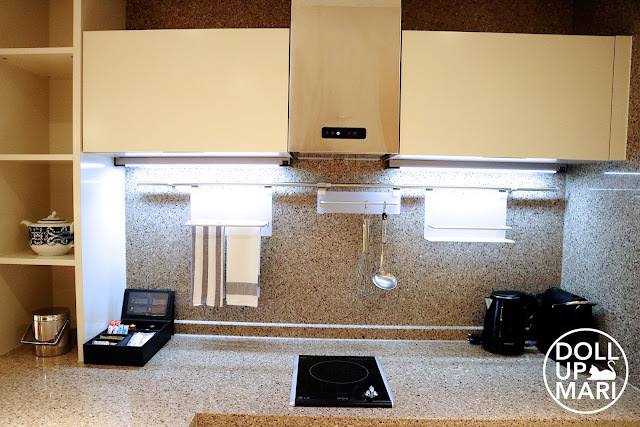 There is already a kitchen area with a full sized refrigerator as well as an oven. They also have a washing machine inside each room. The kitchen is fully functional! It looks clean and bare, but inside all the drawers and all the cabinets, they have a full roster of cooking utensils, dining utensils, bowls, plates, pots, and pans. The bathroom? Ah, selfie goals!!! The lighting is so perfect. If you're also daring, you can shower with a clear view of Seoul's skyline, although most people would probably bring the curtains down. Romand is super popular for their Crazy Payoff lipsticks, too, so it was so nice to see them in real life finally! These shades are Awesome, Red Carpet, and Picky Girl. The peeps from Charis were not expecting that the Korean autumn last year would be thaaaat cold and dry, so they prepared a care package for all the Charis celebs to stay warm and comfy! There were bandaids, pocket warmers, and TheraFlu sachets. TheraFlu is awesome coz I got a really bad cold earlier this year and it went away quickly when I used the TheraFlu sachet they gave us. And yes they also sweetly added in nuts, snacks, and candy. Plus a fluffy headband! I was also able to try their new cleanser! 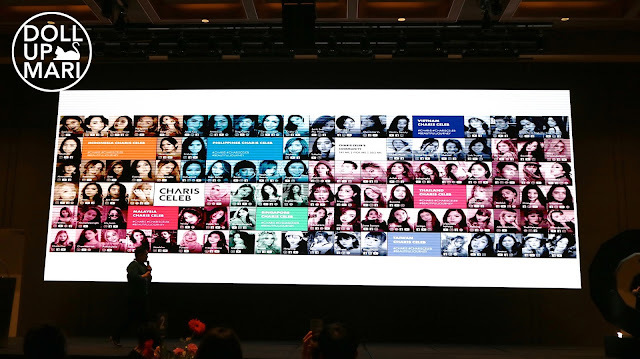 Their CelebFace 10sec 1step cleanser gets out of the bottle as a gel, but quickly turns into a sparkling foam that gets rid of dirt and makeup residue. Plus, it comes in a lovely rose fragrance! 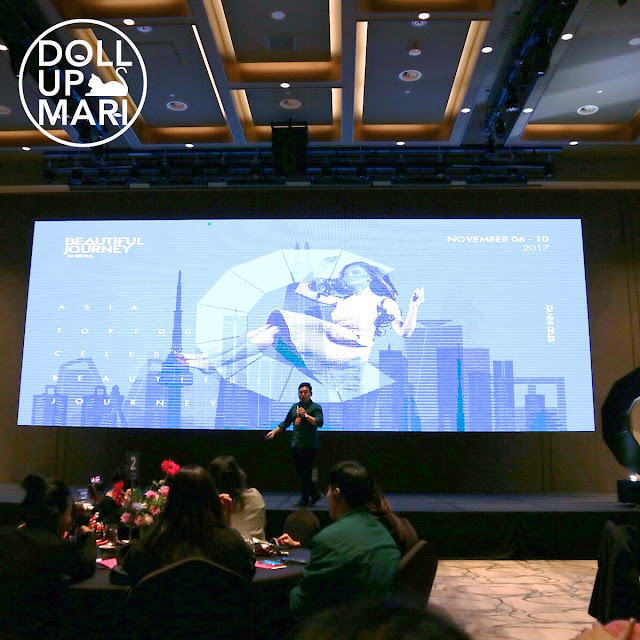 I no longer included my Lotte Mart haul here in this blog post, although it's in the vlog, coz I wanted to skip to the welcome party! 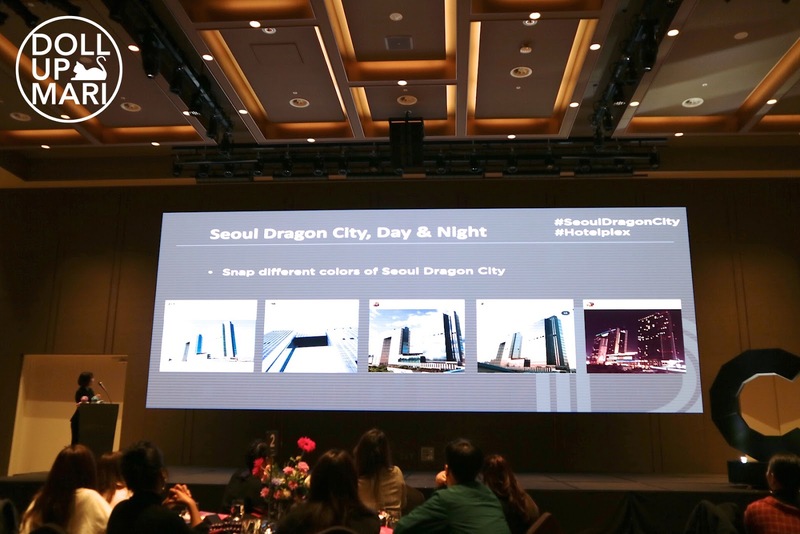 Representatives from Seoul Dragon City explained the concept behind the establishment. 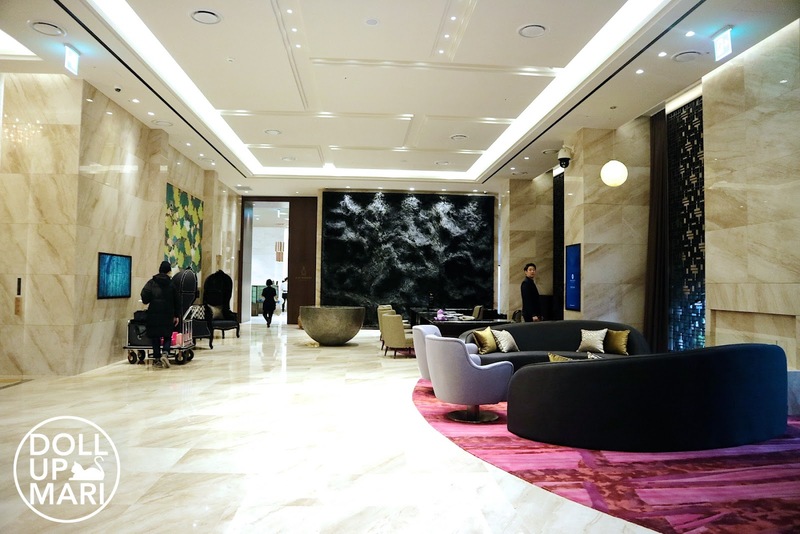 Seoul Dragon City is a Hotelplex as it's a one stop lifestyle complex. It houses four hotels: Grand Mercure, Ibis Styles, Novotel, and Novotel Suites. And it also has stores inside the hotels, dining accommodations, as well as a swanky lounge at the top floor. To add, this complex is literally walking distance (and has a connecting bridge) to Yongsan Station. Yongsan station is big and you can travel to almost anywhere from that station, which is why it's a strategically located hotelplex. Oh Andy! Andy's no longer with Charis now as he had to stop working so intensely due to health issues. But indeed, he worked so hard for Charis and was the guy who basically got the wheels turning as COO. I'll miss his cheeky demeanor and I hope to see him again soon (in better health). It was so surreal so see all our photos on the screen! Philippines was the light blue colored section on the screen. Everyone else also felt that it was so nice to see our photos and blog names displayed. Dinner was so good. 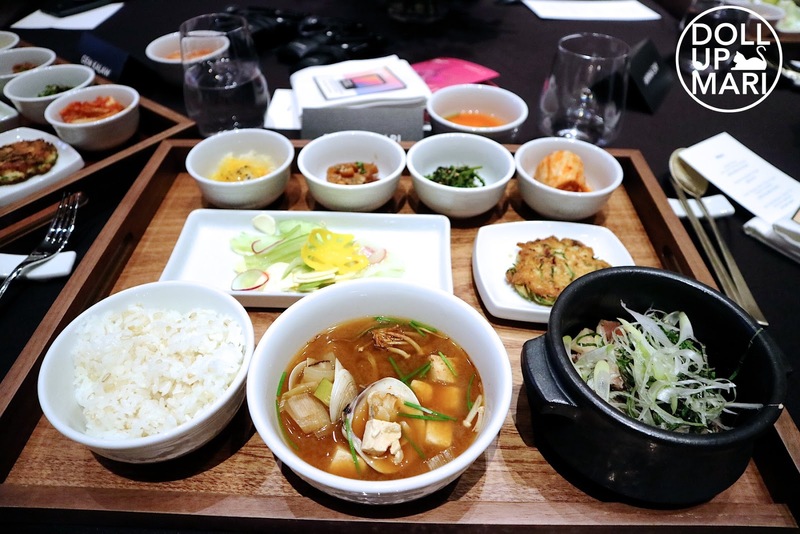 They prepared a premium Korean meal that I will never forget. 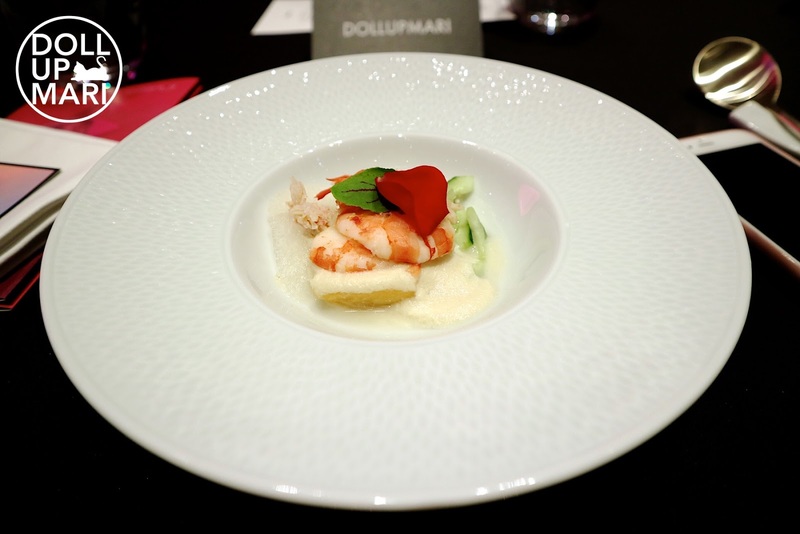 We were told that each person's meal was $500, and with all the premium ingredients that they served, it's highly likely! I made sure to not be too full at the party because I knew they would serve good food and didn't want to waste the food by not eating them. The last time, I felt so bad for not being able to finish everything as they also served a premium Korean meal the last time. I miss everything on this tray! Everything was so nutritious and tasty. 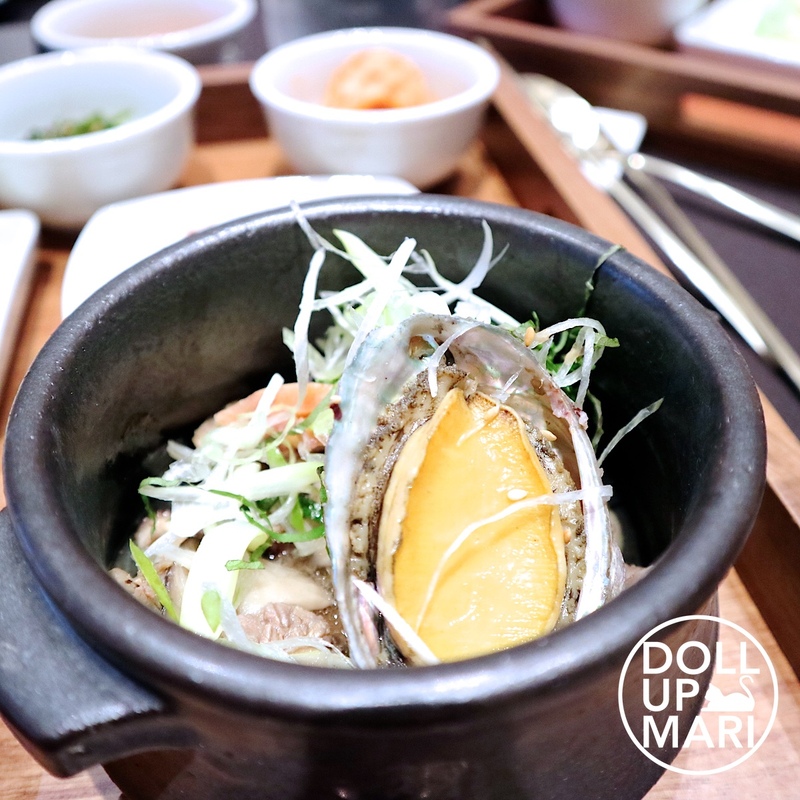 Forgive me for being so excited but I was so shocked to find an abalone with the bulgogi that I just had to take a photo! The meal was scrumptious, and everytime I see the photos, a wave of good memories come through. Ah! Let's talk about the styling! So my hair was bleached in 2016, and it was just too damaged no matter what treatment I tried to use. I had it cut into a lob, but the lob turned out badly. So I had to go to another salon and sacrifice more hair. So I had a bob during this trip. Had I known, I would've delayed cutting my hair for a month! Since I had a bob, I bought hair extensions from Tokyo Posh to make it longer. Unfortunately, my hair was still too short at the time and really just could not conceal the bulges of the extensions. It really just wasn't working with my hair down. So I decided to do a side ponytail so that it would look a bit more natural on me. I wore earrings that my sister got from Japan years ago, a dress from FashionNova, and shoes from Chinese Laundry. This dress was a bit controversial and I did get some flak online for deciding to wear this when it was 0º in Seoul that night. My explanation? I asked them beforehand if the party was gonna be conducted at the hotel, and indeed, it was. It was within Seoul Dragon City, but at the next hotel. So I walked outside in the cold (with a jacket on, and baby oil on my legs) for less than 20 seconds and was back indoors immediately. I hope people realize that if it were too cold, or if we were to be out in the cold too long, I obviously would not have made it to the party wearing this dress. As for the makeup, I wanted to go for a brown cat eye look to make it fun. I used my Maybelline brown eyeliner to do the cat eye part, and then did a smaller winged line using my Cyber Colors eyeliner. For the lips I used Kylie Lip Kit in Koko K.
And here are the selfies! With Livia whom I have not seen in a long time. The Last time I saw this year was in July, so yes, a reunion is much needed! 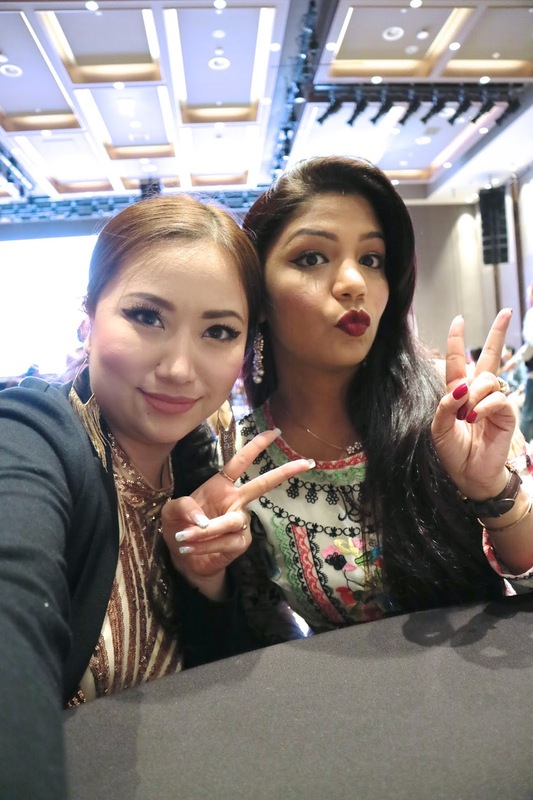 With Raa, who has been taking the Indonesian beauty scene by storm last year and this year. With Maggie from Singapore! This was our first official time to meet, despite having followed each other on IG for ages before this event. With Jo, whom I missed so much since the last Beautiful Journey!